Disney Tinkerbell headbands bring even more fun to the Disney Fairies themed birthday party! These Disney Tinker Bell & Fairies garland-like headbands are perfect for any Fairies themed party. 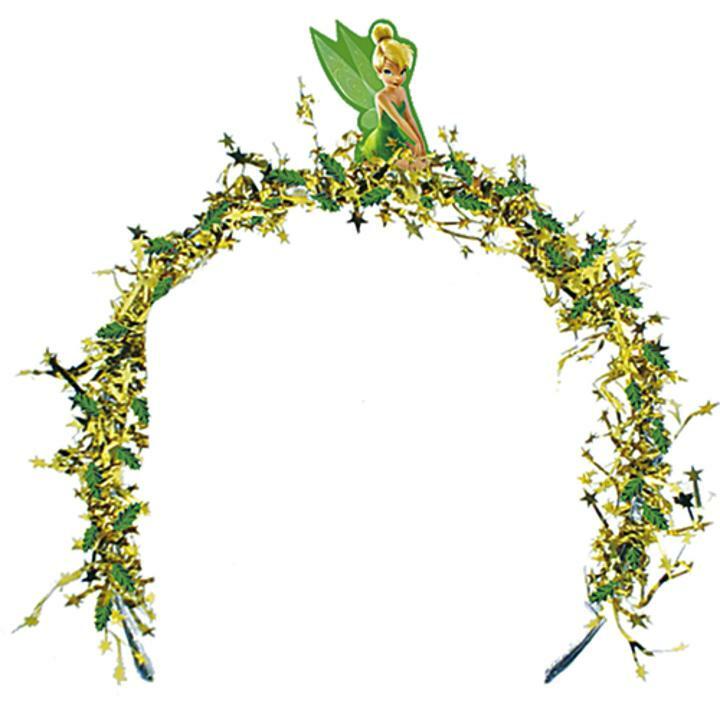 Each Tinkerbell headband features a metallic leaf garland design with Tinker Bell sitting on the Crown of the headband. Each package contains 4 Tinkerbell headbands. L: 6.5 in. W: 6.0 in. H: 0.25 in.